The Gymnastic Academy delivers comprehensive training programs that will improve your gym skills, flexibility, core function, posture & fundamental motor skills such as balance! Beginner students start at level 1 (Introduction grade) and as they master the skills required they increase in level. Our program progressively increases performance from level 1 to level 10 and caters for beginner and advanced students. Through proper practice and experience each week students learn to produce skilled movements with permanent change which can be retained for the future and built upon. Our coaches motivate students by providing feedback on performance to help increase the quality of their movements and tools so the student can learn for themselves how to improve. Many students exceed their expectations and become physically efficient individuals who excel at sport. Students participate in an integrated gymnastic program with a wide range of activities that include tumbling, trampoline, balanced beam, bar, vaulting, agility, core function & flexibility training. Friendships are formed and students connect as they train together and build confidence. Please enquire to see what program suits your schedule. We offer optional participation events through out the year that are lifting experiences for our students. It allows them to find the "zone" with a higher level of focus where the mind and body work effortlessly leaving our students feeling like something special has occurred. All students receive participation certificates & a ribbon standard from merit to excellence with medal placings for top 3 overall placings in each division & spot prizes consisting of gymnastic academy branded T shirts, leotards and sports wear. Parents don’t need to worry about driving to a facility. We bring expert coaches and performance equipment to schools at convenient school times. 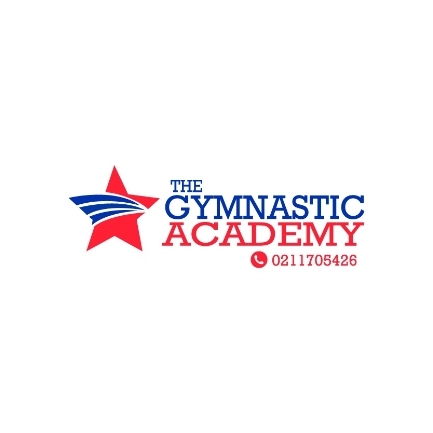 Gymnastic Academy gives your child the opportunity to improve their skills and achieve results at an accelerated rate in their comfortable school setting with friends. Children & Parents can measure performance with our unique grading system were certificates are awarded as children increase their skills. Term 1 Saturday 11th Feb - Friday 13th April. Term 2 Monday 7th May - Saturday 30th June. 1.2 Schools occasionally have things on that clash with our sessions & prevent hall use, in the event of this happening parents will be notified and make up classes arranged. 1.3 If a make up class is not possible then a credit will be carried forward into the next term. 2.2 It is common for children to be nervous for their first class, we allow the child to spectate until they feel comfortable participating. Don’t be discouraged by their slow start once they get into the swing of things the nerves soon disappear. You know what will work best for your child, some prefer to stay and hold their hand while others find it best to walk out the door and leave them to participate. We welcome both with the goal being to get your child enjoying the class and joining in. 3.1 All children work towards grading certificates starting from introduction up to excel level. They receive their certificates at the end of term for the grade they have achieved. 3.2 There are 6 certificates to pass before moving onto the medal awards. 3.3 We keep a record of your child’s grade so if they take a term off and return we know where they are at. 4.1 Most children wear school sport gear i.e. bike shorts/leggings & T shirt or sport top but if they prefer to wear leotard this is also perfect for gymnastic class with bare feet, no shoes and hair tied off face. 6.1 Each session a medal is rewarded to gymnast of the day, which they get to keep until the next session. Sometimes medals go missing or get damaged. If this occurs we asked that a fee of $10 be made to contribute to replacing. 7.1 Your child's teacher would appreciate it if you reminded them of your child's lunchtime gymnastics class. 7.2 We cannot remind all students of their lunchtime class and at times they can forget. Please ensure on gymnastic day that you remind your child to attend their session. We cannot take responsibility for missed classes but will endeavor to do our best. 8.1 Near the end of term children have the opportunity to participate in our events which are for all levels from introduction grade through to excel. This allows them to perform the skills they have been working on through out the term in a fun competition format. 8.2 All children receive participation certificates and the top 3 scoring gymnasts in each age/grade receive a medal. Children can strive to reach a new grade or higher scores as they progress throughout the year. 9.1 We do not offer free have a go sessions for those wishing to trial. 9.2 Our fee for a casual session is $20 and you will need to pre-arrange this with Marie by contacting Ph: 0211705426. 9.3 We only do casual sessions mid term (no earlier than week 3 of training) if there is availability in the class. 10.1 Queries/concerns need to be made to the relevant person who is responsible for that activity. In the first instance, please communicate to the coach in charge of the session; if you feel uncomfortable doing so then you can contact the Director Marie. If you have concerns of any description, please ensure these are reported in a timely manner. As a general rule, a complaint must be made within 5 days of the event occurring. 10.2 Serious complaints need to be made in writing and directed to Marie. If there is no resolution then written complaints can be made to the school through the normal school complaints process. We are aware of the ‘potential danger’ of our sport and we make every effort to achieve and maintain a safe environment for our members. Please be on time for class, as warm up is an important part of keeping and staying safe. No playing on equipment until the class begins. Parents are responsible for children before and after scheduled class time. Please wear appropriate attire - Leggings and a sport T or Leotard for girls and shorts and sport T for boys. No Jewelry, exceptions: medical ID tags/bracelets. No valuable items should be brought to the gym. We cannot be responsible for lost or stolen items. Before crossing any dismount mat, tumbling strip, the floor exercise mat or any other apparatus mat, look all around for other gymnasts. Don't cross until the way is clear. Always yield to gymnasts in the middle of doing skills. Students may not leave their class without permission from their instructor. This includes trips to the bathroom, water fountain or locker room. No jumping off any of the trampoline apparatus onto the floor. Walk or climb off the equipment carefully. Check for proper matting before using any equipment. Check equipment, matting, and apparatus before use. Crash pads, landing mats and pits increase safety, but will not totally protect anyone from injury. Never dive head first or land on your head or neck on crash pads or landing mats. No mat can totally prevent serious injury to your head or neck, so avoid landing on them. Spotting is to be done by coaches only. No student or parent spotting of gymnasts. Gymnasts are not allowed to leave the building for any reason except with a parent or approved guardian. Gymnasts are expected to stay with their class and instructor throughout the class period. No one is allowed to interfere with the progress of another gymnast or class. Gymnasts are expected to be respectful, polite and show good manners at all times in the gym. No fighting of any kind. Gymnasts should have their hair tied back away from their face. Children must follow the instructions of the coach for their own safety. Enthusiasm and motivation when appropriately channeled can lead to the acquisition of new skills, however, no skill should ever be attempted without permission and/or safety spotting from a certified academy coach. Basic skills, especially strength and flexibility, are the foundation for excellence in the sport of gymnastics. Follow the correct progressions in learning new gymnastics skills. Ask your coach for guidance. The gymnastics academy reserves the right to remove children from class failing to act in a safe manner. No one other than currently registered and enrolled gymnasts are allowed in the gymnastics area or on the equipment. We ask that each child has a basic understanding of English language in order to keep safety for your child and other students. Advise the coach if you are ill or have any symptoms of illness. Please advise the coach if your child is on medication. Children on medication which may affect their coordination skills should not be allowed to attend classes..
Report any injury, unusual pain or discomfort felt during participation to your coach or instructor immediately. Thank you for taking the time read our helpful member information, any further questions or queries don't hesitate to contact us!